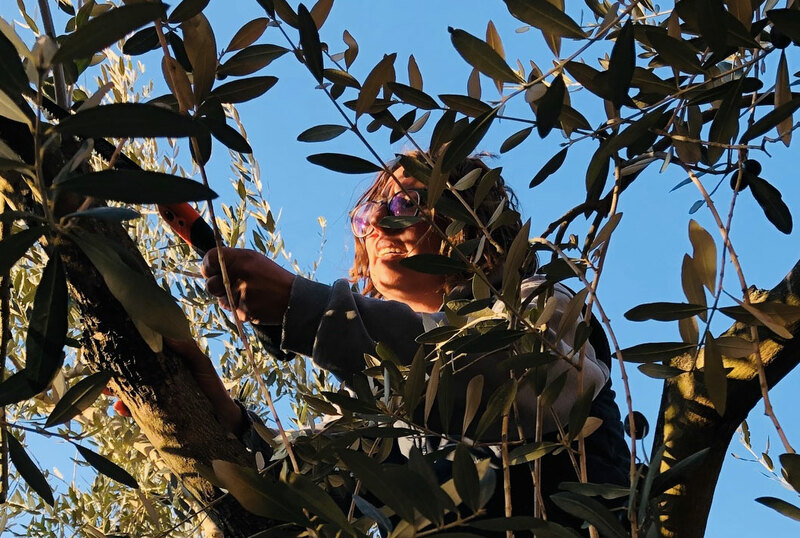 Behind our olive farming and the harvesting of olives, you can find the passion of Elena Bargiacchi, deus ex machina of our farm Podere La Croce in Reggello, magnificent location on the Tuscan hills not far from Florence. We decided to have a chat with her and find out more about the secrets of our organic extra virgin olive oil and of the products and flavors that during these years contributed to the success of our organic restaurant in the center of Florence. Elena, first of all, how was the harvesting this year? It was as usual, a moment together with our family, helping each other once again with the harvesting of olives. An authentic occasion to be together in the nature and share something unique. This is a very busy period for you. The harvesting of Olives is a busy period, that requires lot of energies, with the daily harvesting and the night transportation of olives to the mills, where they squeeze the olives. At least three or four times per week. You take care of the process personally, I imagine. Absolutely. This is the result of my hard work, I need to check that everything is ok. Be awake at night and go on with the harvesting in the morning at 8, it is not easy, but olives need to be picked up and squeezed as soon as possible, in order to safeguard the high quality of our oil. October, period of the harvesting, is not only about this, right? October, like all the other months, sees the active distribution of our products to many companies and to the Desco. And then there is all the accounting to be taken care of, plus many other things. It is not boring at all around here! How much passion do you need to maintain such a lifestyle? You need a lot of passion for the nature and earth, but also the love for these kind of rhythms, you work hard for 8 months and then you can rest, exactly like nature does during wintertime. That time of silence is very precious, time of sunsets and robins, a peaceful time to be enjoyed with calm. Tell us something about your olive trees. I have around 700 trees, that we treat with pruning methods and fertilizers, using propolis as a natural disinfectant during the trimming to strengthen their defenses and heal up the wood. We are a small but big company, that’s why we take care of every single tree, because it is what creates our fortune and quality of products. That’s what makes our production cycle very virtuous. At the farm you grow also apple and pear trees, walnut trees and cherry trees. And many others! Khaki, loquats and apricot trees for example. 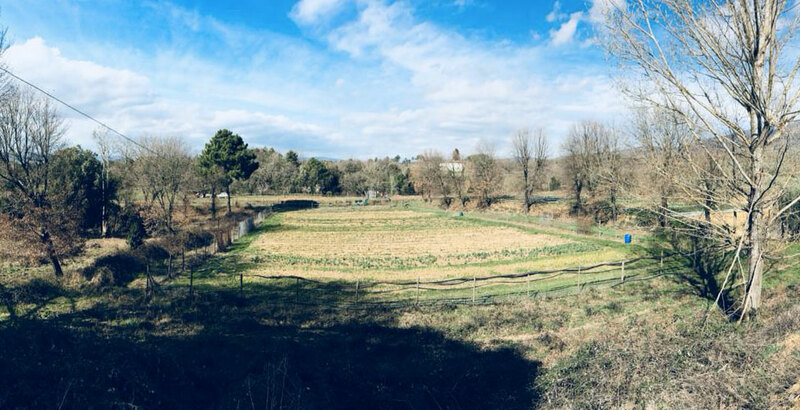 The orchard is made of native plants, ancient variety options that we chose for their genetic memory – they know when it is time to germinate – and their strength. We decided to go for long-lived plants, with an estimation of productivity of over 30 years. I love what lasts long and taking care of it like a mother. Passion, nature, and love for your job, thank you for your words Elena! flavors of our dishes and our extra virgin olive oil. See you soon in Florence! « OUR VALENTINE’S DAY 2019 MENU!